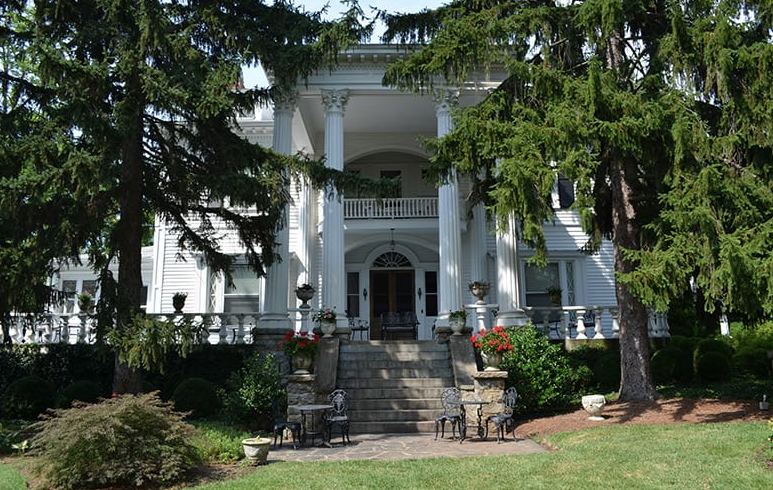 The Albemarle Inn is a 4-Diamond AAA bed and breakfast. This magnificently restored 1907 Greek Revival mansion, with its beautiful gardens, is located in the famed Grove Park district. The elegant rooms and suite pamper guests in luxurious comfort with fine linens, fluffy duvets, and a private bath with a claw-foot tub and shower. Gourmet breakfasts graced with linen napkins and gleaming silver are served each morning.